Our place is design so you can hang out in our common areas. 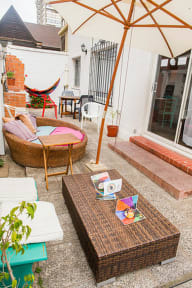 The idea is so it feels like at home, with a calm environment and excellent living conditions.Also, you can relax in our patio with hamacas and enjoy our BBQ area. We offer aundry facilities, free parking and tour/ticket assistance. 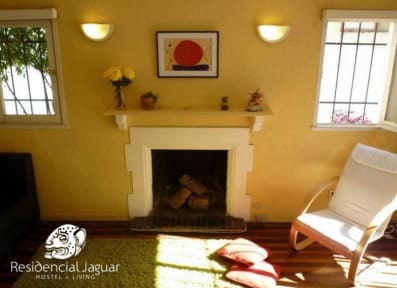 We have a range of private rooms with nice decoration and Satellite TV. Our delicious breakfast is prepared with gourmet Chilean and Mexican ingredients, that will give you an extraordinary begging on your day! Credit card & Cash Accepted upon arrival. Hostal muy limpio y seguro. Gracias para todo.